Susanne Bier’s Things We Lost in the Fire is a melodrama in the vein of Alejandro González Iñárritu’s 21 Grams in almost every way: the story of a nuclear family shattered by a random death, told as a nonlinear narrative, with conspicuously arty cinematography, and costarring Benicio Del Toro. 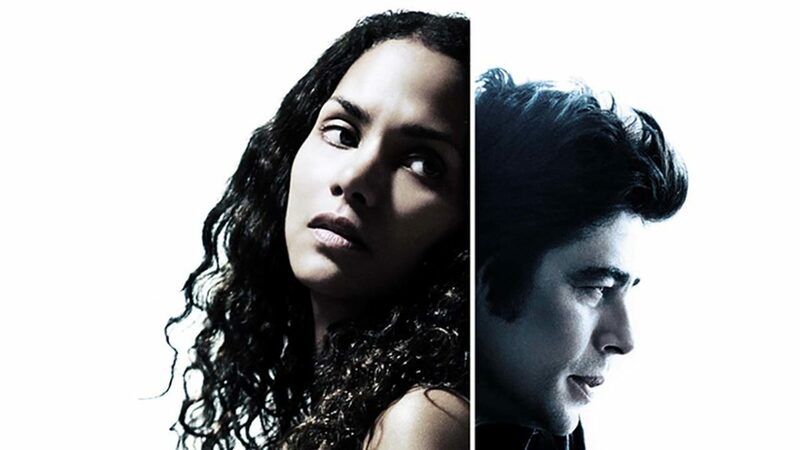 Even a single-sentence description of the basic plot conveys how overwrought things get: Audrey (Halle Berry) impulsively takes in her dead husband Brian’s (David Duchovny) heroin-addicted friend Jerry (Benicio Del Toro). Audrey’s motivations are semi-consciously selfish; she perhaps thinks that she can retain some connection with her dead husband by indefinitely extending his fruitless effort to help his childhood friend to kick his drug habit. But unaware of the adage that one must beware what one asks for, she becomes resentful when her plan unexpectedly succeeds. Jerry does in fact begin to kick drugs, a neighbor takes an implausibly quick shine to him and offers him a job, he teaches one of her kids to swim (a task at which her husband had previously failed), and he responds to her flirtatious advances. Inexplicably, the movie ends with the wrong Velvet Underground song; someone chose “Sweet Jane” over “Heroin.” If the filmmakers thought it too obvious, then how do you explain everything else in the movie?